First time I've visited Hanoi even though I have been to Vietnam two times in my life and basically lived in the South for 10 years. I still very young when my family immigrated to Australia so the North of Vietnam was still a strange place for me. The last time I visit Vietnam for pleasure was five years ago. A lot has changed and certainly my photography skills has improved over the years. I was a phone photographer the last time visited Vietnam. A German backpacker inspired me to travel. First I travelled around Australia my adopted country and now exploring the North of Vietnam the country I was born. I didn't know about the Vietnam Independence Day on the 2nd of September from French Colonial ruled. I certainly not aware of Vietnam history that for sure. I knew the battle of Diem Bien Phu that changed the history of modern day Vietnam and ofcourse the Vietnam War. I'm not good with the details. Anyway got off the plane from Ho Chi Minh City and I went straight to the Old Quarter of Hanoi as I knew I could find affortable accomodations and all the major attractions are all in easy walking. The Hoan Kiem Lake was one of those attractions. Still haven't got my bearings yet, so I went in grabbed a simcard so Google Map can show me around town. 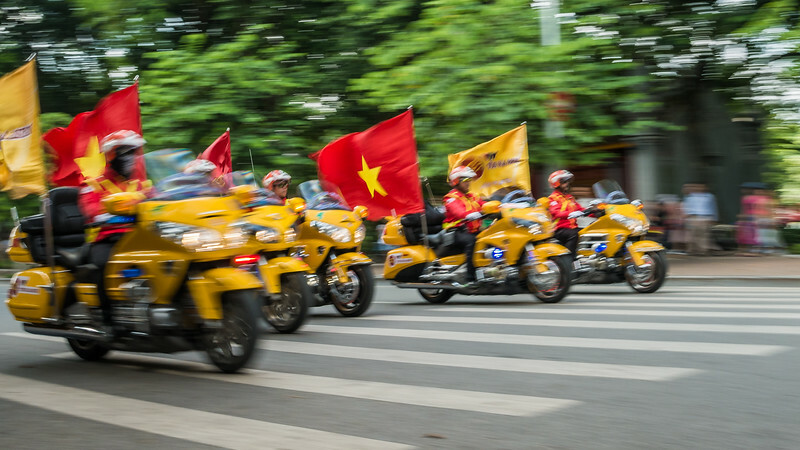 End up heading to the lake and I found the Vietnam Independence Day Parade. Certainly Hanoi gave me a great welcome reception.